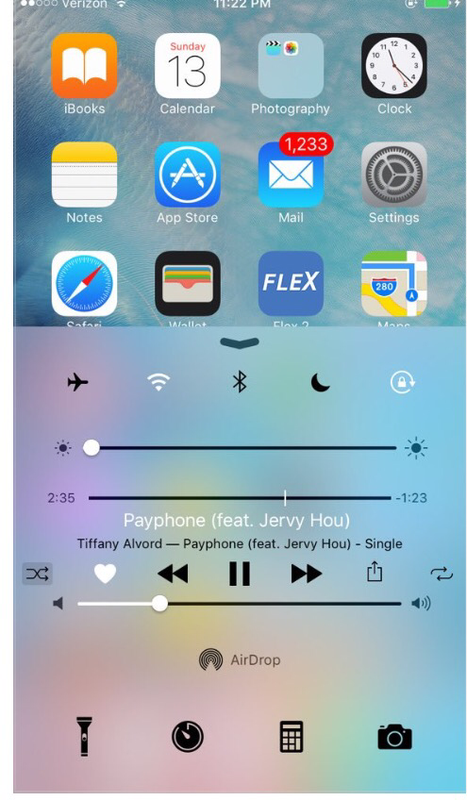 Carrot adds Shuffle and Repeat toggles to Control Center and the Lockscreen. 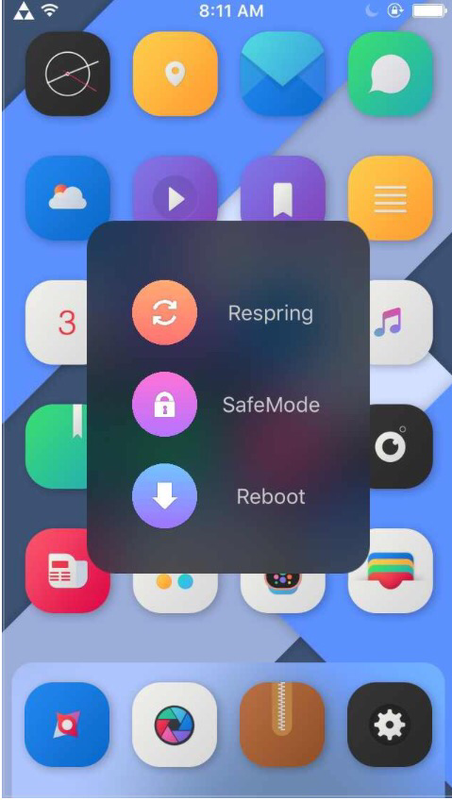 Hold the power button for a sleek menu to pop up with 3 options, Respring, SafeMode, and Reboot. 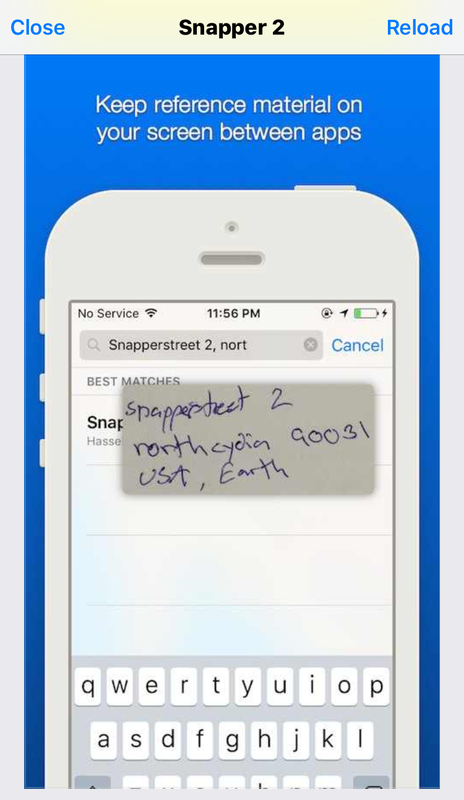 Tap anywhere to close it! FastBoot is a customizable popup you can open in the springboard or any other app. Change the appearance in settings with DarkMode, Shadows, and Rounded Corners. 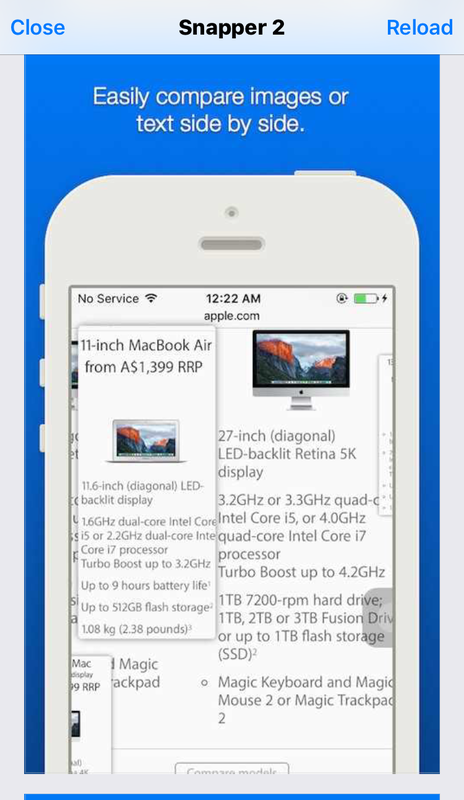 DescriptionCompatible with iPhones on iOS 7, 8 and 9. Full iPad support is coming! 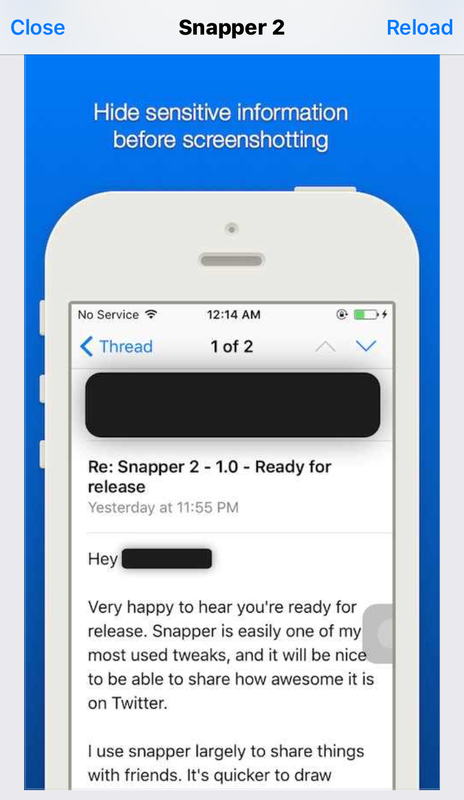 Snapper is a tweak that lets you crop a portion of the screen and keep it floating on the screen. – Never switching between two apps multiple times to enter a password ever again – Comparing stuff on the screen! 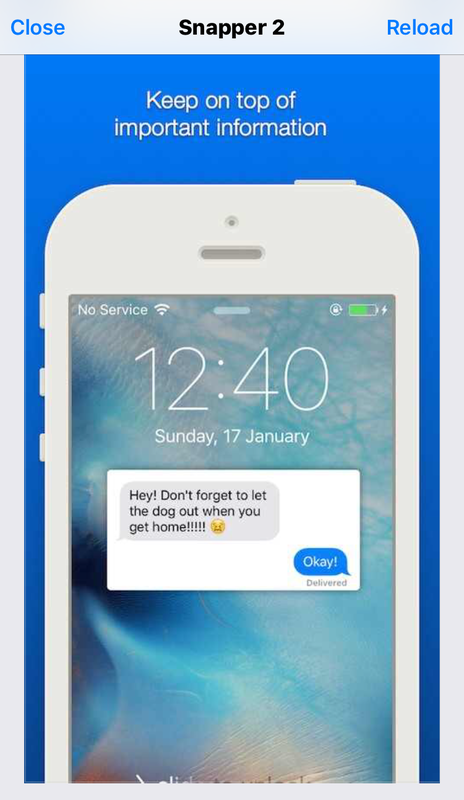 – Can’t copy text in some app? Just snap it and save to camera roll for later .. and more! 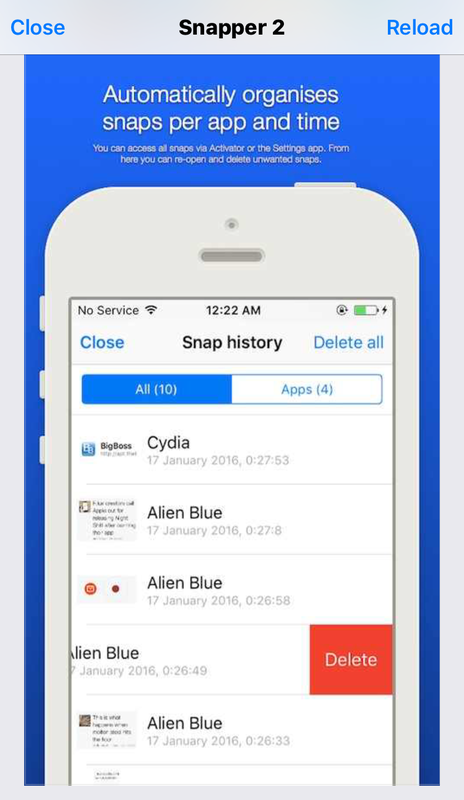 – Control the area to crop before snapping! – Use it with Activator, or without! 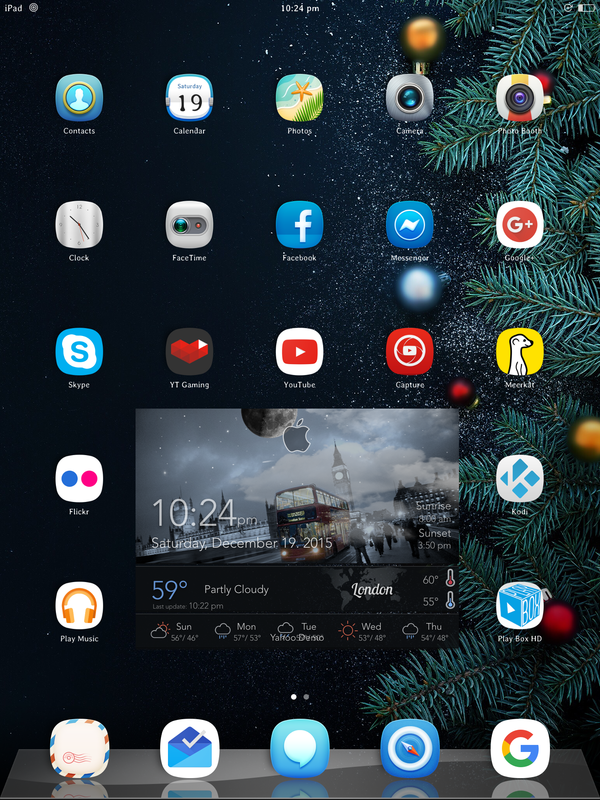 This is the home screen layout on my iPad Air 2, which is fully Jailbroken running iOS 8.4. As you can see I have custom App icons which is achieved by a Winterboard theme I installed called Lasso, which is a great looking theme on the iPad and iPhone. I also have a custom weather iWidget called CORE iWidget UniAW_v3.3, which is animated and gives you a five day weather forecast in your area. I also have a tweak called ClassicDock which gives you back the old style dock that came in the good old days of iOS 6, which I think is a much better looking dock than the dock currently in iOS 9. You may notice I have up to 5 icons going across the home screen instead of the standard 4. That’s all thanks to a Cydia tweak called betterFiveColumnHomescreen, which allows you to have up to 5 icons across your home screen. These are just a few of the many Cydia tweaks that I have installed on my Jailbroken iPad Air 2. So if you have a Jailbroken iDevice, what are you waiting for. Head over to Cydia now and start fully customising your iDevice.